Joan Jett see no point in a Runaways reunion. Just like the Swedish punk legends Ebba Grön, Runaways will probably NOT do a reunion. One of the key members Joan Jett doesn´t see any point in it. Through the years there been some happenings that could been reasons for it. Different people and diffrent reasons did turn it down. This time it was Joan Jett who did it. 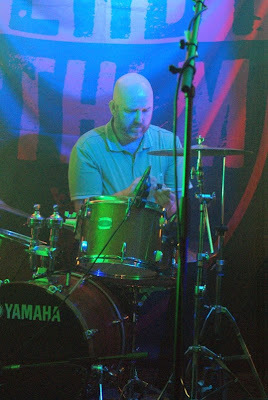 Turbos last Gig with DERBY STHLM, as a drummer. This blog starts with sad news, Turbo Hellman, drummer and songwriter in DERBY STHLM will play his last gig as a drummer in the band. According to the band is it a medical conditions "Vikingasjukan" that will put an end to Turbos drumming. However will he continue as a member in the band as well as producer. Im back from the beach. After a sunny lazy summer spend around the swedish east coast both north, mid and south Im back.